In the past few weeks I've been the very lucky recipient of two blog give aways. Can you guess what I did with that gift card? It's true and I was happy to get started. Thank you so much Marty. You have to see this art work! 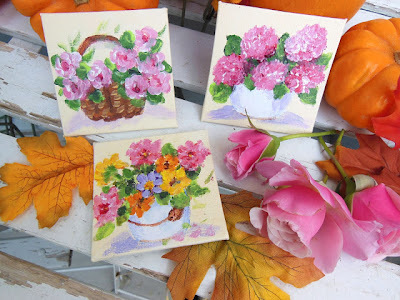 These tiny little paintings are intended to be gifts or cards to share love and encouragement. Erin is sharing part of the money she earns from her art with the Susan G. Komen Foundation. Marty and Erin, I thank you from the bottom of my heart! wow!!! You are one lucky girl!!! Lucky wins! I sure wish I could say that I have started my Christmas shopping! Great wins, lucky girl! I think I would have started shopping, too, with the gift card. Every extra dollar helps! Very nice of Erin to donate the money! Stacey, I am so happy that you won my giveway and thank you for posting about it. Wow...you lucky girl! Congrats, Stacey! WoW! Congrats on your wins! After our snowflakes today, it reminds me to start thinking about presents. Wonderful!! How sweet of you to by gifts for others with your gift. The cards are beautiful. Erin is a very talented lady and you a very lucky winner. Those are both such special gifts! I love Erin's art! It's so cheerful! 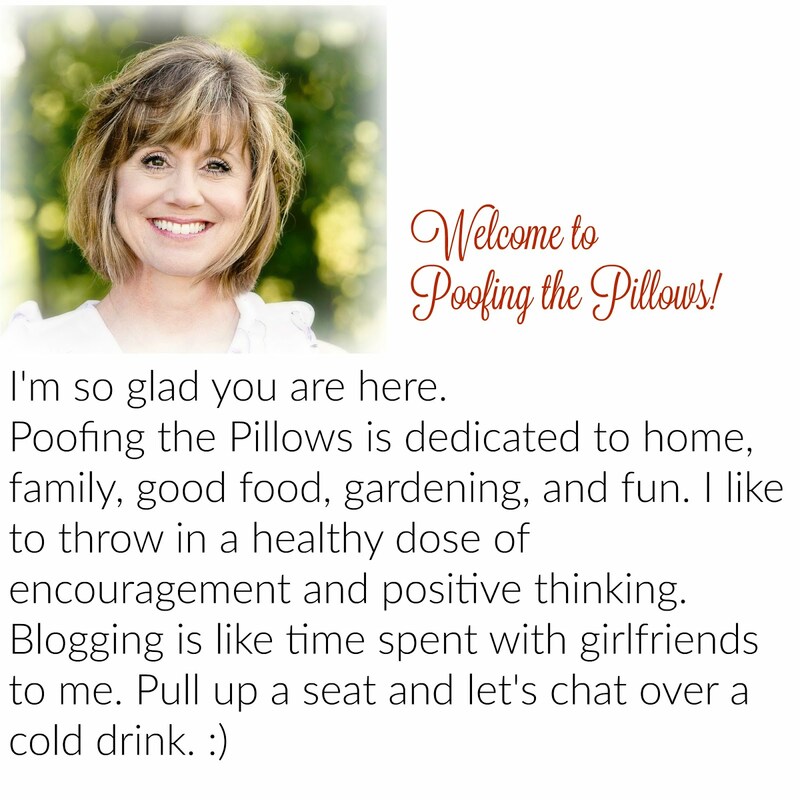 I spent a little time poofing the pillows today as I cleaned! Hugs! OOO, I love ALL THREE OF YOU ! !